Aperture Science isn't the only one with a secret underground base. Deep in the Antarctic lies a hidden subterranean facility, filled with puzzles, lined with traps, and shrouded in mystery. Why is it there? What is its purpose? Below the Ice, a mod for Half-Life 2, invites you to find out. Just watch your step. Looks simple, but this place is not your friend. The mod begins with you arriving in the Antarctic, where you quickly stumble upon the entrance to a facility buried in a glacier. There's a sign warning against trespassers, which feels a bit pointless. You've either traveled all the way to the north south pole and aren't going to turn around and go home because of a sign, or you're a polar bear penguin and you can't read anyway. 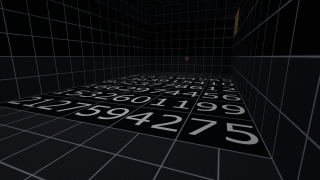 Entering this facility requires passing a bit of an intelligence test in a number of grid-like puzzle chambers. Many involve the simple pushing of buttons, though figuring out how to reach those buttons, and what those buttons actually do, can take a while. The chambers aren't particularly forgiving if you make a mistake, either. Prepare to be crushed, fried, or fall to your death if you slip up. This is how I solve puzzles. With a crowbar. Once you've convinced the puzzle chambers you've got a brain in your head, you're granted access to the rest of the facility, which appears to have been abandoned. While exploring, you'll discover living quarters, science labs, and a series of offices. There, you'll begin to piece together the story behind the facility, which ties in to both the fiction of Half-Life 2 and Portal. It's not just a matter of walking around and reading notes: even though you've escaped the test chambers, there are still plenty of puzzles to solve to gain access to the facility's control rooms, observation chambers, and science labs. I suspect they're not planning you give you a haircut. The more you progress, the more the facility begins to reveal its secrets, and its true size. While you're navigating the place, unlocking doors, turning on lights, locating missing pieces of technology, dabbling in teleportation, and piecing together its history, also keep an eye out for a series of memory sticks. Find enough of them hidden throughout the mod and it will give you an alternate ending. Companion cubes aren't quite as heartwarming here. There's probably a few hours of play here, depending on your smarts. Some of the puzzles aren't particularly sophisticated: to progress, it's generally more important to carefully examine your surroundings for clues than to be some sort of 10th Level Puzzle Wizard. There's some decent music throughout, and while the map's set dressing is a bit plain, and a few custom textures are a little underwhelming, it's a nice mod if you're in the mood for some gently-paced puzzle solving. Dude, I can't solve this with you watching me. You can grab the mod here and untangle the mystery for yourself. To install, extract the folder into your sourcemods directory (\Steam\steamapps\sourcemods), and restart Steam. Below the Ice will appear in your library. You'll also require Half-Life 2 and Source SDK Base 2013 single-player. You can find the latter by viewing your Games Library in your Steam client, selecting "Tools," and double-clicking it from the list.